One of the things I like the most before going on holiday to a new (or already familiar place) is reading a great book about the place. I don’t mean a travel guide, those I always do, but that is not as exiting. What i mean is a great fictional piece that is set in the location. I love reading and it is a great way to get inspired about the new location that you are going to. This is especially true when the location is a true character in the book. One of the best gifts I have been given was done so by a good Greek friend of mine. When I was travelling around the country, she gave me the book : The Island by Victoria Hislop, right before going to Crete. It was a fabulous book to read, ignited a trip to the Island of Spinalonga, but also made two of my favorite things in a holiday join together: catching up on mu reading and discovering new places and histories. 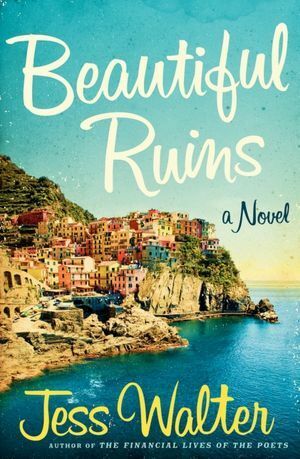 So for my recent trip to Italy I had two books that dealt with my locations: Beautiful Ruins, which was set in the Italian Riviera, and Lake Como, which was evidently set in Como. Official Description: The story begins in 1962. On a rocky patch of the sun-drenched Italian coastline, a young innkeeper, chest-deep in daydreams, looks on over the incandescent waters of the Ligurian Sea and spies an apparition: a tall, thin woman, a vision in white, approaching him on a boat. She is an actress, he soon learns, an American starlet, and she is dying. What unfolds is a dazzling, yet deeply human, roller coaster of a novel, spanning fifty years and nearly as many lives. From the lavish set of Cleopatra to the shabby revelry of the Edinburgh Fringe Festival, Walter introduces us to the tangled lives of a dozen unforgettable characters: the starstruck Italian innkeeper and his long-lost love; the heroically preserved producer who once brought them together and his idealistic young assistant; the army veteran turned fledgling novelist and the rakish Richard Burton himself, whose appetites set the whole story in motion-along with the husbands and wives, lovers and dreamers, superstars and losers, who populate their world in the decades that follow. Another thing I really enjoyed in the book is how flawed and real all of the characters are. You don’t get a true hero, everyone is real, normal, making mistakes and living life through these. No one gets it truly right, they just do the best they can with what they have. This made the characters so the more relatable as there was no preaching involved, perfect endings, or perfect actions. Up until the final chapter I would have given this book a 5 out of 5, but the ending just left me cold. It is a fabulous story, So much buildup and it gets hurriedly wrapped up in a perfect bow in the last chapter. I was definitely not a fan of he ending, but that should not stop you from reading the book, it is truly very interestingly developed, and quite unexpected. For sure a must read. Official Description: Hallie Elliot has a perfect life. She is an up-and-coming interior designer in one of San Francisco’s most sought after firms, and has just recently become engaged to Peter, a brilliant young journalist. But when she stumbles upon Peter and her boss in what seems to be a compromising position, her trust in her perfect life is shaken. My Take: 3.5 out of 5. In terms of the story, it is a very enjoyable chick lit book, Predictable, but fun and sweet at the same time. The main character, Hallie, is very relatable and her story is one you can truly get involved in. In general a great story that makes you realize not everything is at it seems, and how what you really want might not be what you need! In terms of description of location this book was fabulous. Having read it just before I arrived at Lake Como, it was a complete inspiration as to where to stop on the ride up the lake. 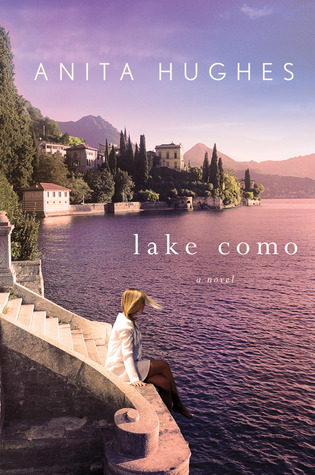 The descriptions of the places, foods and venues are amazing, and you just want to be in the Lake with the Characters, sitting in your villa overlooking the lake and being swept away by motorboat!. (it definitely made me want to stop in Lenno!) This was the perfect book before a trip to Como!